111480, Pte. Albin Joseph Sumara was one of three boys and three girls born to Vencel and Anna (née Pastor) Sumara. Whilst Albin was born in Poland / Czech Republic, on 23rd November, 1896, the family emigrated to Nova Scotia, arriving into the port of Halifax on December 24th, 1904. 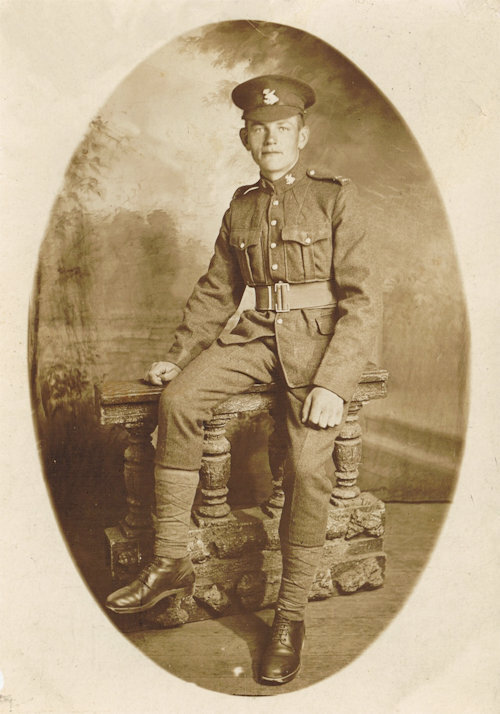 A farmer by trade when he signed on, in Halifax, on 2nd July, 1915, aged 18, Albin was originally assigned to the 8th CMR, which was subsequently absorbed into the 4th CMR in January 1916. Although having served with the 4th CMR without notable incident throughout the war, Albin was lost during the attack on Boiry Notre-Dame, France, on August 28th, 1918. Albin lies at rest in the Vis-En-Artois British Cemetery, Haucourt, France, along with 18 fellow 4th CMR men lost that same day. The Sumara military tradition continued with Albin's nephew, Albin Frank Sumara, who served with the North Nova Scotia Highlanders R.C.I.C. in WW2. Sadly he was lost in Belgium on November 1st, 1944. Albin Frank Sumara lies at rest in the Adegem Canadian War Cemetery, 20km east of Bruges, Belgium. Biography and image credit go, with thanks, to Mark Rushton. Like nephew Albin Frank Sumara, 111480, Pte. Albin Joseph Sumara is also remembered on the Wall of Remembrance project website. Please do also visit the Sumara family website.